Hacer Sayman has a soft spot for neglected buildings. In a city like Istanbul, where historic structures are more likely to be demolished and replicated than conserved, her willingness to pour money into restoration projects is something of an anomaly. 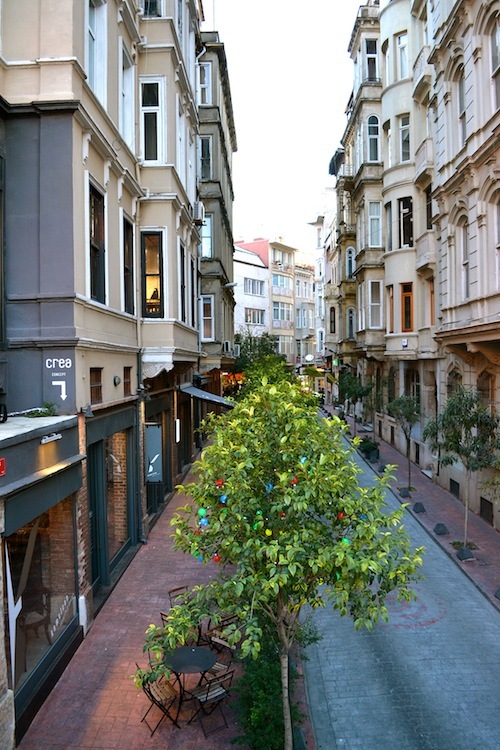 But it has served the community well: the beautiful old buildings she has refurbished and fitted with shops, cafés and restaurants have played a part in the rebirth of Beyoğlu over the past 20 years. 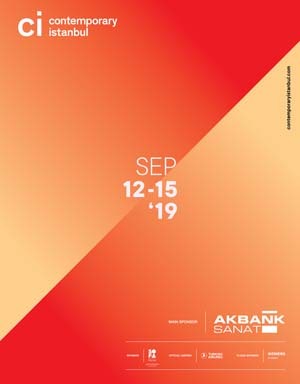 Hacer Sayman's current project centres on Müellif Sokak, a tree-lined side street whose stillness belies its proximity to three of Beyoğlu’s hubs: Tünel, Şişhane and the Galata Tower. Soyman’s realm runs the length of the street, with her contemporary design store, Kameleon, occupying one side and her antique store, Artrium, the other. BAK-KAL, her café, sits on the corner where Müellif Sokak meets İlk Belediye Caddesi. It was the pristine façades of the 19th-century Ottoman apartment blocks that drew Hacer to this location. ‘There’s not a hint of ugliness on this street,’ she explains. Indeed, its multi-storey buildings incorporate Istanbul’s iconic covered balconies, both rounded and square, while floral flourishes and classical elements adorn their outer surfaces. A stroll down the street will leave you romanticising about the past. 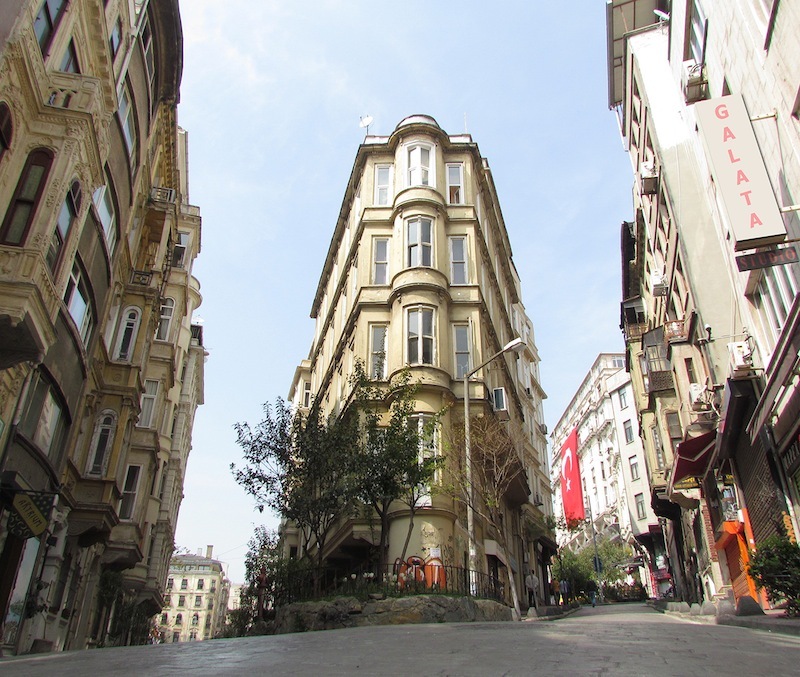 It was during her time at St. George’s Austrian High School, a short downhill dash from the Galata Tower, that Hacer became better acquainted with the interiors of Beyoğlu. Her Austrian teachers lived within walking distance of the school and would often invite students over for a cup of tea. 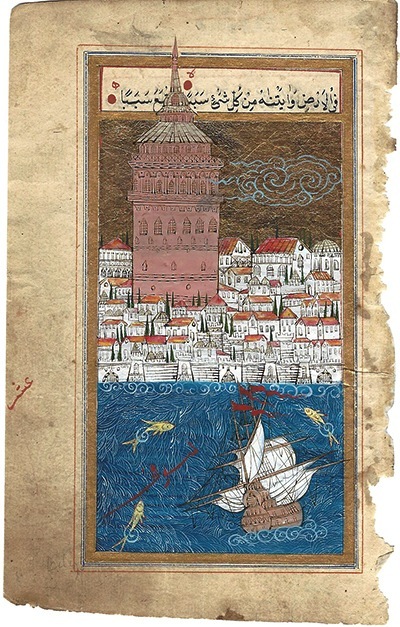 She remembers visiting apartments and houses with grandiose views of the Golden Horn. 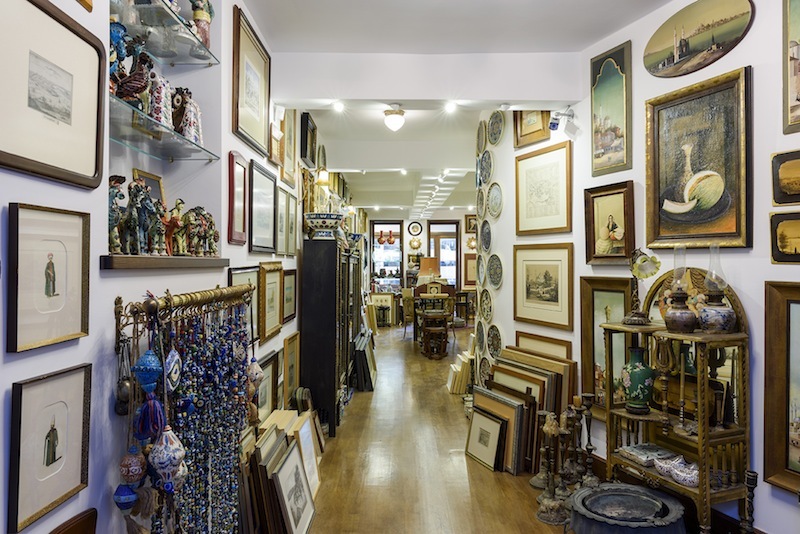 At a time when most upper-class Turks were living in modern builds in Kadıköy or Bebek or along the Bosphorus – Hacer’s family lived in Göztepe on the Asian side – these visits were a rare chance to experience Beyoğlu’s concealed charms. Even when life in the neighbourhood was less than rosy, Hacer remained loyal. After a stint abroad in Vienna and five years in Nişantaşı, she grew tired of Istanbul’s ‘wealthy bubble’ and moved to Beyoğlu in the 1980s. Poor immigrants from the countryside had taken up residence in the stately apartment blocks, and what was once the city’s cosmopolitan centre had morphed into its seedy underbelly. Artrium had few customers at first. Yet Hacer perservered, her one pleasure being a daily rakı with lunch at Refik meyhane. She continued to renovate the passage with the help of an experienced carpenter, Mehmet, and eventually opened Ka-Ve, a café, in 1999. Still, business was at a slow trickle. Such a dearth of customers would have demoralised most entrepreneurs, but Hacer fondly recalls those early months: ‘My husband and I love to dance, so we danced around the passage. No one was coming, but we had to stay until midnight... it was so much fun.’ Perhaps drawn to her loving restorations, or maybe her gusto, more people began frequenting the passage in the early 2000s. In response, she built more restaurants, which were booked out almost every night. Hacer retained full control of the passage until 2005, when House Café moved in. Anyone who visited Tünel Geçidi and the surrounding warren of narrow streets towards the end of the 2000s will remember the raucous noise and the tables crammed with revellers. As the neighbourhood gentrified and grew in popularity, rents in the passage soared. Hacer began to grow tired of the pressure from unscrupulous neighours trying to line their own pockets. Never one to settle, she set her sights on Müellif Sokak. It was a familiar scenario: there wasn’t much foot traffic, but she found the area charming. And this was her chance to control an entire street – her own little Istanbul kingdom. Slowly she began renting spaces until she had quietly amassed all of the street’s storefronts. Selling her stake in the passage in 2013, soon after the Gezi protests, Hacer started a new Beyoğlu chapter. For this venture, Hacer shifted her focus to contemporary art and design. ‘I was tired of the old stuff,’ she explains. Although she reopend Artrium in the new location, the pearl of Müellif Sokak is her design store, Kameleon. The space itself is stunning. The renovation – a process that Hacer likens to ‘an archaeological excavation’ – saw the removal of a second floor, leaving the new shop with vaulted ceilings. The walls of the three rooms, connected by narrow archways, are a melange of brick and black stone. Original wall niches are fitted with glass shelves and utilised as display cases. 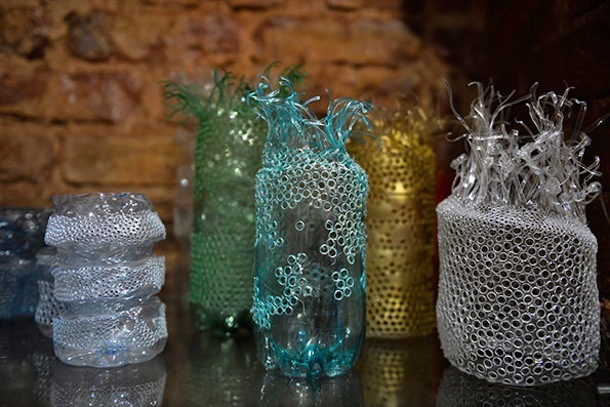 Gülnur Özdağlar’s floral jewellery and home accessories, made by cutting, melting, drilling and reshaping plastic bottles, catch the eye. Her unique approach to upcycling results in works of art that look more like delicate glass than cheap plastic. Not one to let space go to waste, Hacer turned a hidden storage unit into a clothing vault. 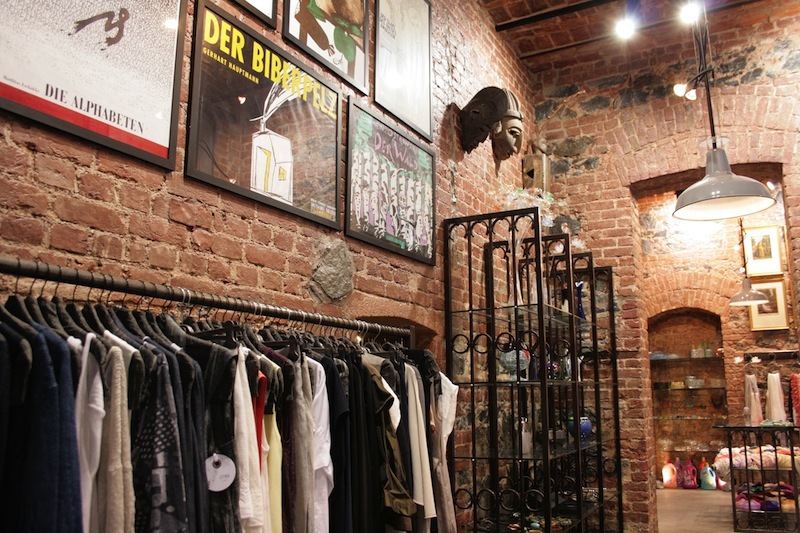 The racks that encircle the subterranean chamber are hung with Crea Concept clothing from past seasons, while the current season’s designs are displayed on the main floor. The Parisian fashion house is known for creating minimalist pieces in natural colours and materials. While Kameleon stocks photographic prints, the gallery next door is the place to peruse contemporary art. Hacer runs the gallery in collaboration with IMOGA Art Gallery, with the aim of attracting visitors who want to purchase from local artists. Hacer has weathered this boom-and-bust before. Despite being 69 years old, she doesn’t see herself retiring. Instead, she’s planning wine and jazz parties, and working with her neighbours to organise monthly vintage bazaars. Her bet on Beyoğlu was made long ago, and she’s still all in. Kameleon and Artrium are featured in the Cornucopia Art & Design Directory. During the month of December, Kameleon is offering a 70% discount on past seasons of Crea Concept for those who purchase clothing from the new season.